I can’t think of summer in Luxembourg and not think of mirabelles! In the French city of Metz, which is a short hour’s drive away from Luxembourg city, they even have an annual Mirabelle festival. I always get super excited when the first mirabelles appear at the markets… For years, I missed out on these sweet little yellow plums, as I was living in the UK, where mirabelles are far less prominent. 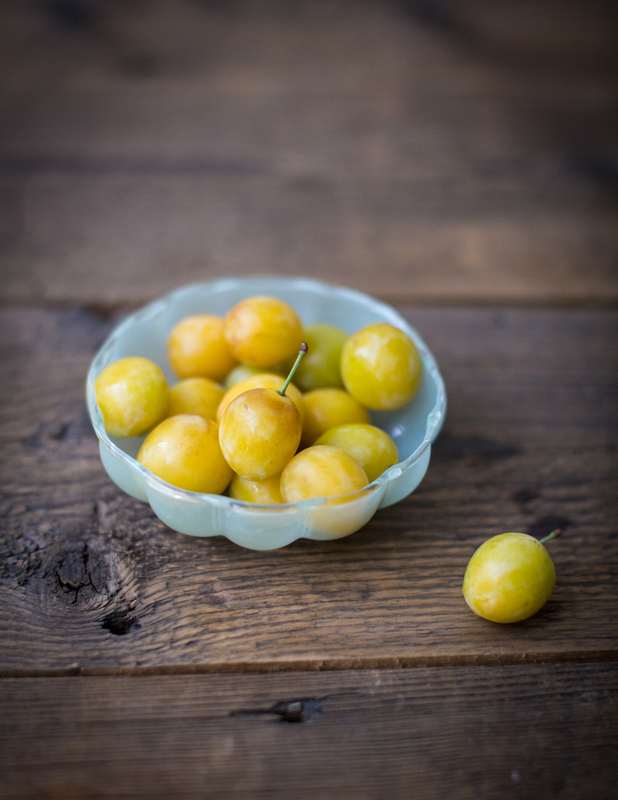 If you’ve never eaten a mirabelle, think of them as fragrant little, cherry-sized plums. The season is rather short: from the beginning of August until mid September, so it’s worth making the most of it. 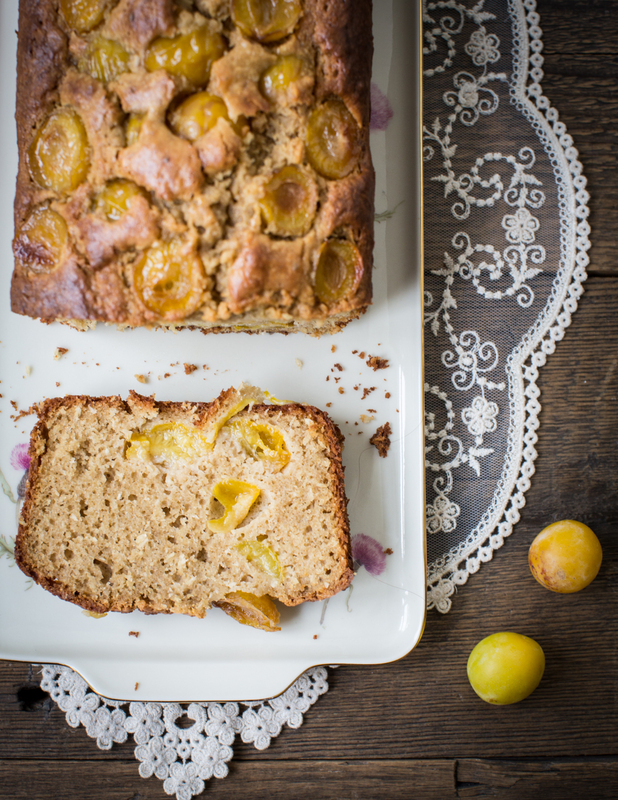 Most people make mirabelle tarts (often just fruit snuggled on top of a simple yeast dough) and mirabelle jam – and it’s worth buying a bottle of mirabelle schnapps when you’re visiting Luxembourg! While researching mirabelle recipes I found that most often keep it very simple: a Lorraine mirabelle tart is made with vanilla custard, mirabelle clafoutis pairs the fruit with the eggy clafoutis batter and mirabelle compote is often just made with a bit of sugar and no additional spice. 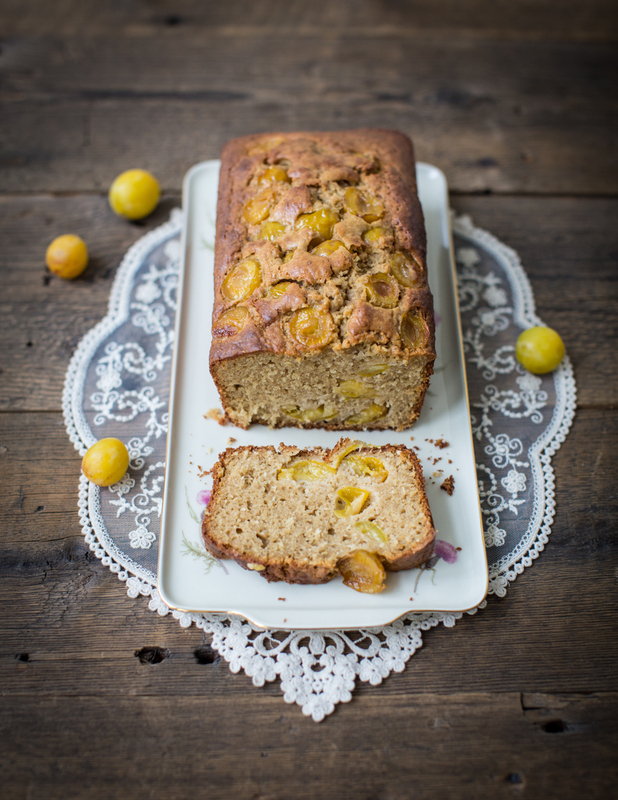 Indeed, the subtle flavour of the mirabelle plum is easily overpowered by other flavours. So, for this cake I kept it simple too. The desiccated coconut adds texture rather than strong flavour, while the buckwheat flour makes it a bit heartier in flavour (buckwheat flour being less sweet than white wheat flour). I initially made this cake without cinnamon, but in hindsight I would add a cheeky teaspoon to bring in a subtle hint of spice (as marked below in the recipe), but you can happily omit this. The cake is perfect as a breakfast loaf, as it’s not too sweet, and goes well with a cup of coffee. It keeps for 2 days wrapped in foil at room temperature. Preheat the oven to 160°C fan. Halve the mirabelles and take out the stones. Put in a bowl and mix with the maple syrup. Mix all the other ingredients with an electric mixer into a smooth batter. Incorporate half the mirabelles and the maple syrup. Put the batter into a greased rectangular loaf tin (10x20cm). Top with the remaining mirabelles. Bake in the preheated oven for 1h25 minutes. 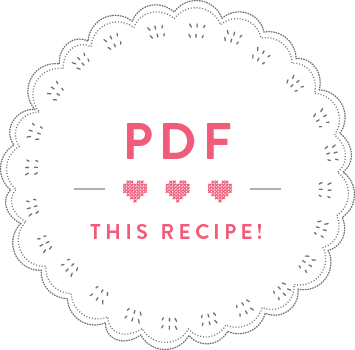 Thank you for this delicious recipe. We were wondering how to taste the mirabelles we had in the fridge. By the way, very beautiful this series of photos.